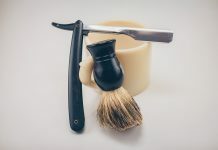 The Micro Touch One razor is a double edge razor or DE razor that is reminiscent of the days long gone when men used to crowd around the barber shop and talk about whatever was happening in the world. It is a safety razor that uses a double edge blade with a promise to give you a close shave that leaves your skin feeling silky soft. 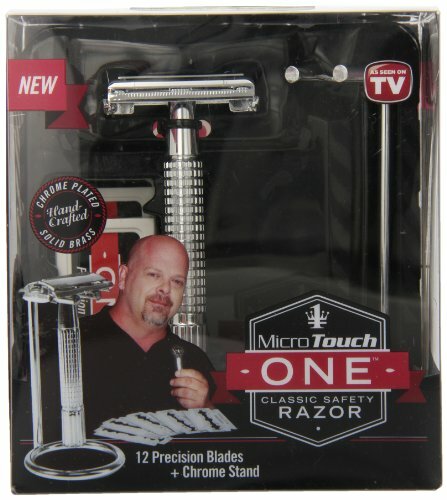 You may have heard of it from Rick Harrison, the star of the show “Pawn Stars,” and he claims that it’s the only razor he will ever use. Like all safety razors, it has a weighted base with a removable shaving head with a safety bar that holds the razor in place safely. The razor is made from solid brass, hence the weight, and plated with chrome. 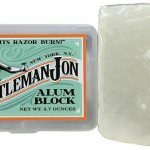 It has a nice feel and a solid grip, but as it is a safety razor, it has a much different feel than a more modern razor. Practice makes perfect with this razor, much like all double edge razors. Use less pressure with a DE razor like the Micro Touch One. The head doesn’t pivot, which means you’ll need to learn to hold it with a stable hand and steady angle. First, you’ll want to prepare with soap and water. This is incredibly important because the soap or cream that you use provides a lubricant to your skin. If you neglect this step, then you will be more likely to nick yourself or cause skin irritation. 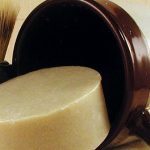 Just remember to use as little pressure as you need and let the weight do the shaving for you. 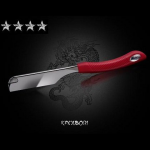 Hold it by the tip of the handle and keep the razor at a 30-45 degree angle. Glide the razor gently across your skin, and you’ll do great. The Micro Touch One tends to lose the chrome plating rather quickly. Customers also claim that the blade sometimes catches on hairs and pulls. The blade tends to take multiple passes to cleanly shave your skin. Some customers also claim that the razor is not as effective if you don’t use it regularly. The Micro Touch One is apparently a lot less effective if you don’t keep up with shaving. Something else to keep in mind is that the butterfly design tends to fail after a time, rendering it entirely useless. 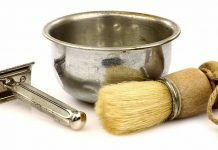 There are other brands out there that are more reliable in terms of opening mechanisms, so do some research and compare others like Merkur and Edwin Jagger. Most DE razors are also heavier than the Micro Touch One, which can cause the shave to not be quite so close. 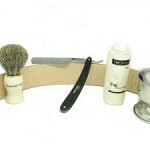 Heavier razors are generally preferred by experienced shavers because a heavier weighted razor gives a smoother shave. For as long as the razor functions correctly, the head is easy to manipulate to replace the razor blades. The handle is also designed to provide a good grip even when it’s wet. It is manufactured in China, and most razors made in China aren’t necessarily the best in quality. 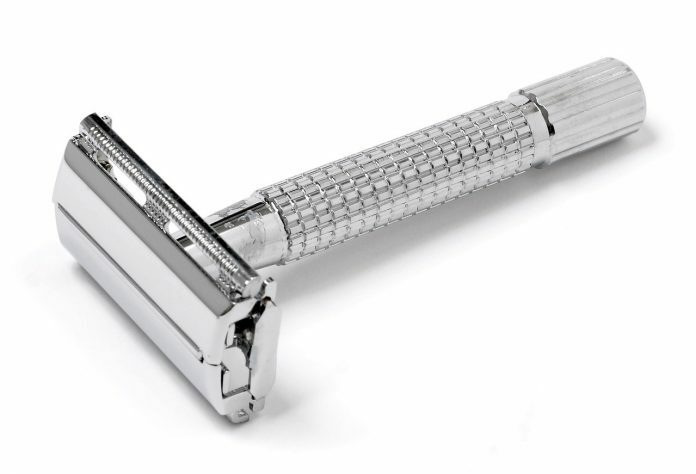 With that in mind, don’t expect supreme performance or quality, but as a starter, this razor isn’t a bad starter set. The blade is minimally exposed and provides a mild shave, so aggressiveness is low for the Micro Touch One. 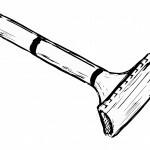 The length of the razor is fairly standard at three and a half inches long. You can also have an option for a longer handle if you have bigger hands that need longer handles. The Micro Touch One is a good beginner wet shave razor. It is widely available as are blades to replace as needed. As a bonus, they’re easy to find, too, and you can pick one up at places like Walgreens. Remember that it is not an aggressive razor, which helps to protect your skin as you’re learning how to handle a double edge razor. The Micro Touch One also comes with extra blades, but just because it comes with them, that doesn’t mean you can’t choose others. In fact, it would be a great idea to order a sampler set of blades from Amazon to find the best blade for your face. Don’t expect to have this razor hold up for too long. If you want something that will stand a longer test of time, plan to invest in a better quality razor. Read reviews, look at prices, and compare what you find to get what you want.